I feel a little like that today. I thought I was the first person on the planet to come up with the idea to put pesto on their popcorn. Pesto plus popcorn, I mean, it does seem a little strange, right? Turns out that somebody beat me to that idea. A whole lot of people beat me to that idea. There are 1,350,000 different results for pesto popcorn on Google. If this were a race, I would have seriously lost. Luckily it's not a race. And if you haven't already joined the pesto popcorn fan club, you should. Do you love pesto? Silly question, I know. Do you love popcorn? Another silly question, I know. Then you're going to love pesto popcorn. 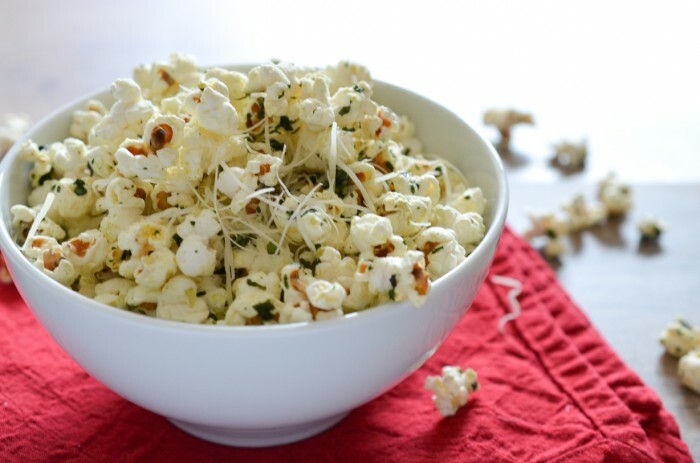 It's nothing but cheesy, basil-y, popcorn-y goodness. Welcome to the club! 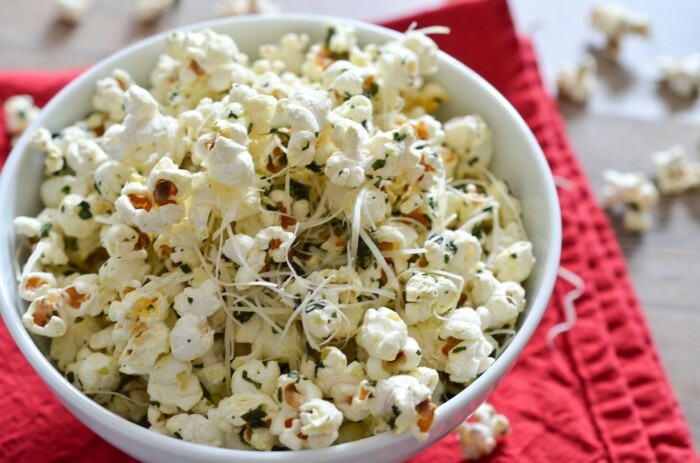 Pesto popcorn is the ultimate snack. It's salty, cheesy and super flavourful. I promise you won't make it far through your movie before it's gone! Heat the oil in a pot over medium-high heat. Add the popcorn kernels so they cover the bottom of the pot in a single layer. When the popcorn starts to pop, lift the pot just barely off of the element and shake it back and forth until the corn stops popping. 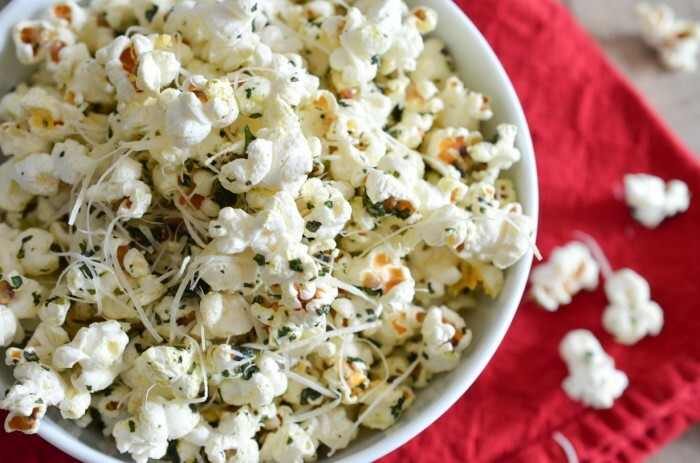 Toss the popcorn to coat with pesto and parmesan cheese. Season to taste with sea salt. To make homemade pesto: chop garlic and basil together on a chopping board. Drizzle olive oil over top and continue chopping to get a chunky paste-like consistency. Salt to taste. First time seeing pesto on popcorn. I am curious to try it. Ooooh – you’re the first person that I’VE seen to try this idea! Pesto + popcorn sounds like a creative match made in heaven. Excited to try it!